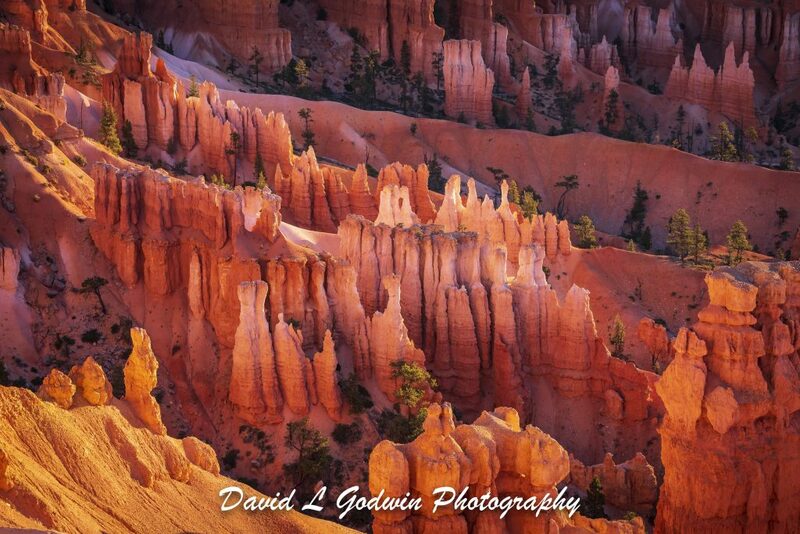 Once the sunlight begins to fill in the Bryce Canyon valleys and walkways the Hoodoo’s begin to glow with these bright almost translucent colors. This image was taken near the Bryce Canyon edge just a few minutes after sunrise. I really love the bright incredible array of colors contained within this image. Remember each of these individual Hoodoo’s are upwards of several hundred feet tall. Hope each of you enjoy this image ! This is my memory I carry with me of my time at Bryce Canyon National Park.